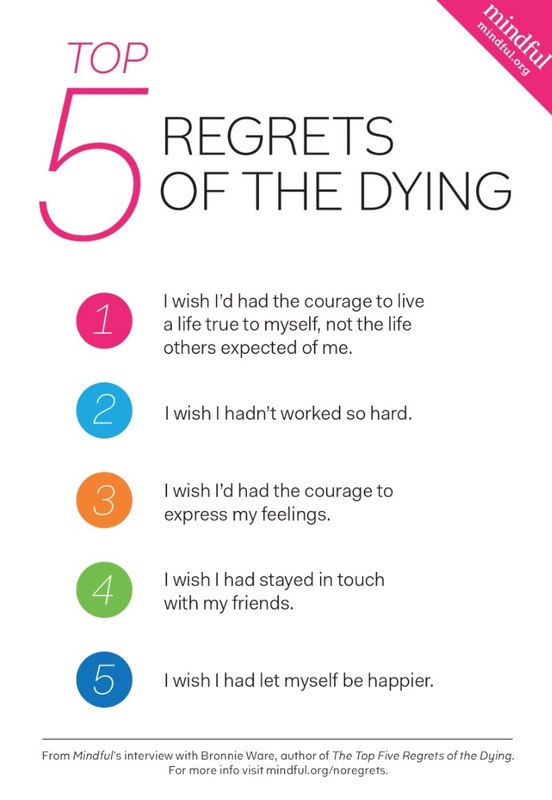 Find out what the 5 top regrets of the dying are. 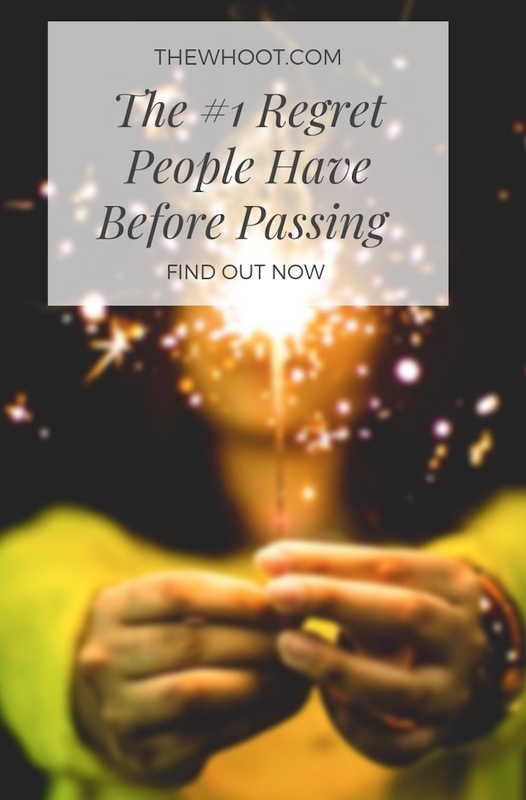 You will be amazed at what people are thinking about when passing. Learn what they are and don’t make them yours. Bronnie Ware worked in Palliative Care for 8 years. By the end of her first year, she started to notice a pattern with her patients when it came to their pending passing. It was a time of reflection and sadly for many, immense regret. In an interview with Mindful Org, Bronnie shared the top 5 regrets her patients had. She was amazed at how consistent they were. Today we are listing them, from 5 through 1. Be sure to scroll our article all the way to the end. We have included a one minute video from Bronnie too. So, without further delay, let’s see what is going through people’s heads prior to passing. 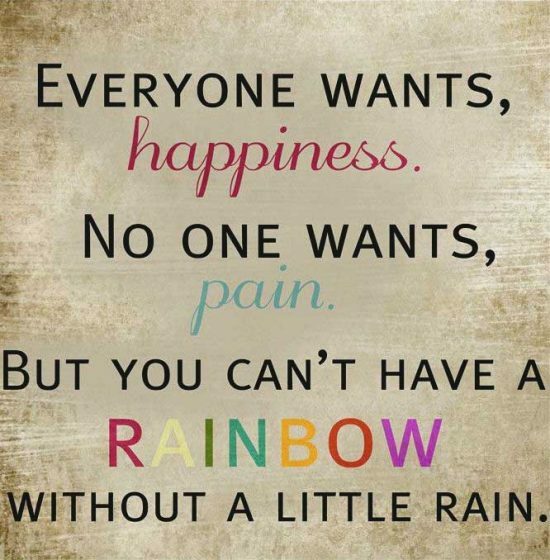 You and only you are responsible for your happiness. You must not hitch your wagon to others and put them in charge. This will only ever result in disappointment. 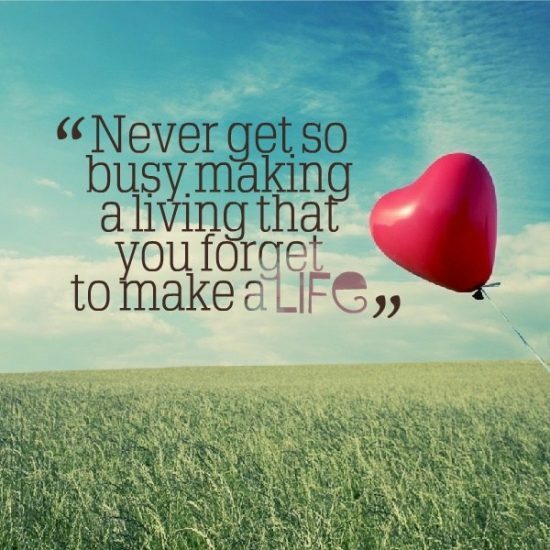 Work out what is important to you, what you want to achieve and experience and simply, do it! You don’t need a lot of friends, you do need the right ones. They say that in the end, we can probably count good friends on one hand. Sincerity trumps popularity any day of the week so choose wisely and ensure that you surround yourself with the right people. 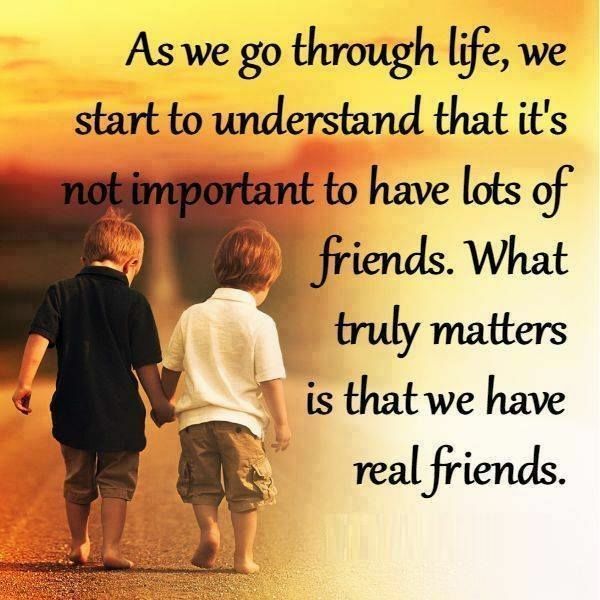 Real life friendships that involve proper physical interaction are real so pick up the phone and meet up, do things together and make time for each other. Facebook is a great way to keep in touch but it is far more superficial so remember to keep it real. One of the most detrimental things to your health is suppressing your feelings. It is a major cause of cancer and other nasties. You must say what you mean and mean what you say. 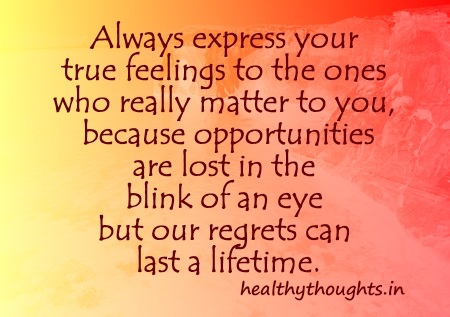 Regret eats you from the inside out and will wither you emotionally and physically. Stand up for yourself and don’t back away. Bronnie said that whilst this was something that the Men said, on reflection it was the women who were living a traditional homemaker role that were most regretful. Staying at home with the kids and not realising their potential results in an unrequited life. It is important to pursue your ambitions and hobbies in order to avoid a feeling of disappointment and ultimately resentment. It’s hardly surprising but also incredibly sad that the biggest regret is dancing to the drum of others. You enter this world on your own, you will depart the same way. It is not selfish to expect to live in a way that makes you happy. 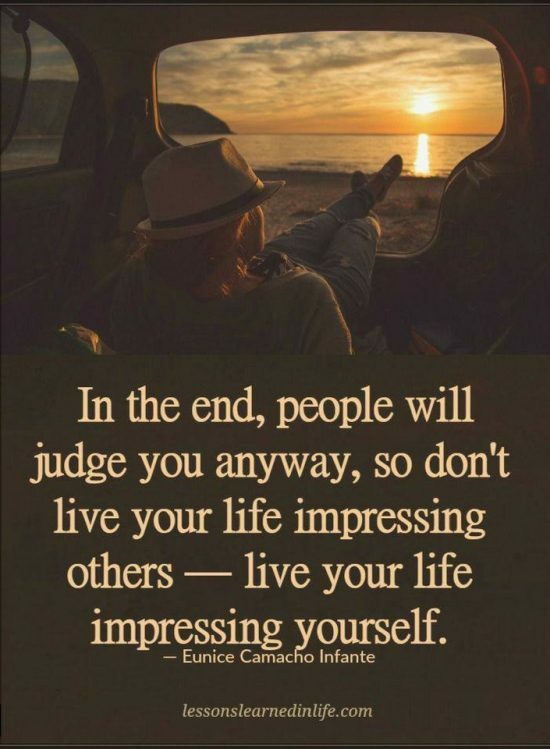 It is exactly the advice that you would give family, friends and those in your life. Bronnie Ware is an Australian Author and her Book Top 5 regrets of the dying was an International Best Seller. As mentioned previously, Bronnie Ware’s book was a best seller and you can purchase a copy here. We first came across the interview on Mindful Org. Want more? Find out the 25 Documents you should have ready before you die. Read our article here. Living with less results in MORE. You have more peace, time, space and freedom. Clutter consumes you and eats you up. Don't fall prey to dust and distractions. Whether you give away or throw away, one thing you need to do is get away! Find out how now. We've found 6 tricks that supposedly stop Avocados from browning and you'll be interested to see how they fare 72 hours on. The winning tip finishes way in front and couldn't be easier. It works for your dips too! We've also included a video tutorial and health benefits of Avo's too. Learn the art of Tying a Scarf. You will be amazed at all the different options and we have rounded up the best collection. We have lots of great infographics with step by step photos and the video tutorial shows you 25 ways to recreate the looks. Don't miss this post. Moms and Professionals all over the world are melting down over what they call a Miracle DIY Spray that costs so little but gets mighty results. We have the 4 ingredient recipe plus photos to show you the results you can expect! Learn the most Creative Ways To Hide Household Eyesores. Our post has an excellent infographic with the best ever ideas and you will love them. If you are a dog lover at some point in time, you may be faced with their loss. Today you will read the most amazing story that will help you understand why dogs live less than humans. It is the most amazing analogy through the eyes of a 6-year old as told to a Vet. This story went viral on Facebook and you won't want to miss it. There are 12 standard table manners when you are eating out or with friends at home. Do you know what they are? Don't let your lack of knowledge embarrass you. Brush up now and see if you are doing it right. It's easy to get your old home videos onto your computer once you know how. It's a fantastic way to preserve your treasured memories and will make a very special gift for family members. Watch the quick video tutorial now. You don't need a Plumber, you just need to know this handy hack that shows you how to unclog your sink with only 2 Pantry ingredients. This is pure genius and you will love how easy it is and the money it saves you. View now.